Interaction and concept design of an interactive web-documentary based on 53 hours of video footage. 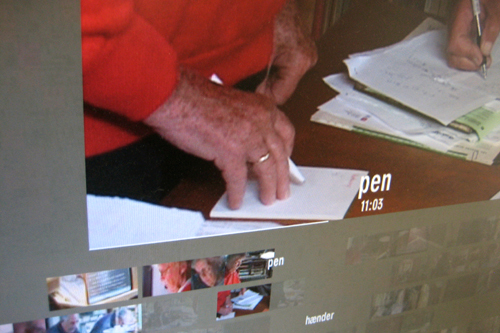 The footage was filmed over 17 days by documentary maker Fleming Lyngse and originally made as a traditional linear documentary about Mogens Glistrup - a retired politician known to most Danes for his right-wing views. The development of a nonlinear narrative structure makes it possible to explore alternative perspectives of a person, who is usually represented one-dimensionally by the media. The project ran over the course of two years and was produced at/by The Danish Filminstitute, 2001-03.